Tara Mills at a Philadelphia church. 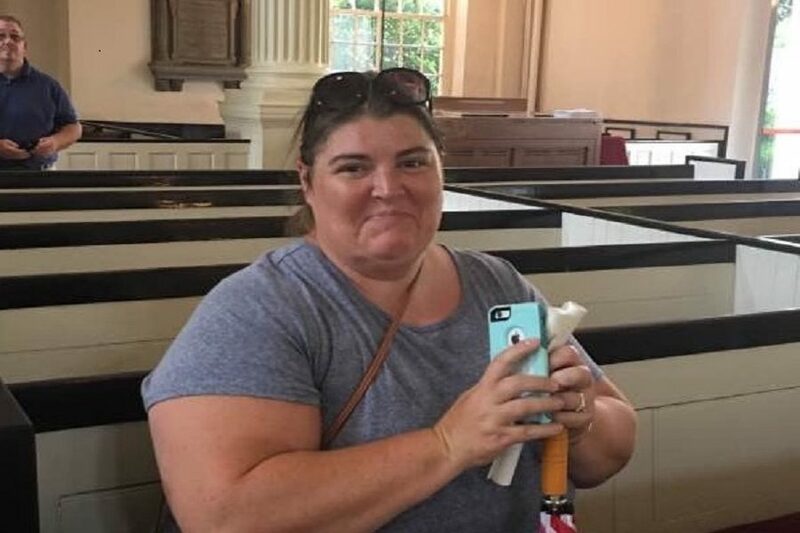 If there’s anybody that knows about locations pertaining to the history of our country, it is definitely our local History buff Tara Mills. Just from going into her classroom, countless pictures detailing her various escapades around the United States with family, friends, and students can be seen. It’s clear Mills loves history and traveling, but how did these interests all begin in the first place? These journeys as a child inspired Mills to go and visit various historical landmarks around North America, including the Battle of Little Bighorn, Mount Rushmore, and Philadelphia, Pennsylvania. All of those trips greatly impacted her career choice, and helped her get to where she is today at THS. Mills said if she had to pick a favorite trip, it would have to be her visit to Philadelphia, the death place of founding father Ben Franklin. “A Ben Franklin actor taught us a bunch of stuff, and we got to eat dinner and debate the Declaration of Independence with a bunch of other historical figures. Then we took pictures in front of Ben Franklin’s grave!” remarked Mrs. Mills. The traveling doesn’t stop with just Mrs. Mills’ personal life, though. She has also arranged several class field trips, ranging from visits to locations like Norfolk, Virginia with the Beta Club or to Washington, D.C. One of the visits to D.C. had to be canceled because of a threat from ISIS against America that was going on at the same time. “I’d love to take a class trip to D.C. again, especially to see the monuments and the new African American museum, which I’ve heard is awesome,” said Mills. Even teachers learn new things about the subjects they teach all of the time, and the same can be said for Mills. She recalled a visit to a Quaker church in Philadelphia, the oldest one in America, where there were almost no decorations inside. “It’s a very simple thing. There weren’t any services because it was a week day, and there was just a volunteer there telling us things about the Quakers,” commented Mills. Mills is very invested in her job and interests in history, and it’s these journeys around our country that accentuate that. When asked what subject she would teach if she weren’t teaching history, she had a hard time thinking of one, a very telling sign of passion towards her career.